The Women’s Touring Intense Pant from Millet is designed for high-level ski touring and competition. Like the matching Jacket, the technical pant is a close sporty fit with stretch fabric and a desire to move up and down mountains fast. 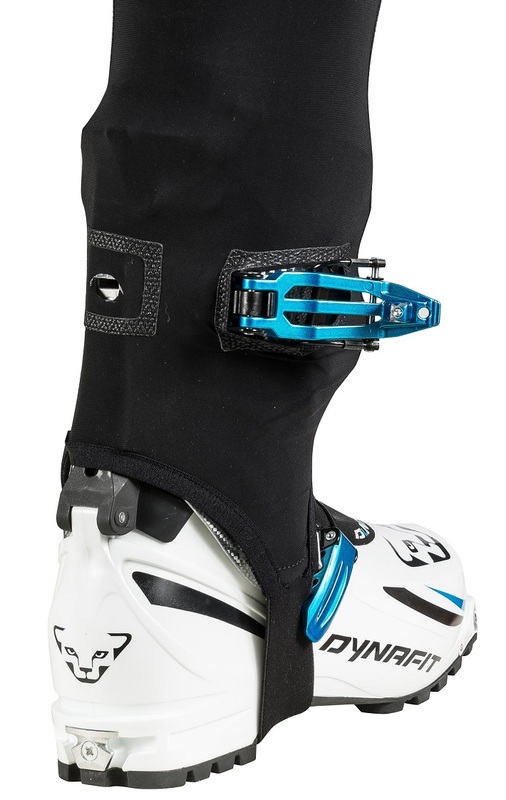 Millet added stirrups to the pant to go over your ski boots, with special cutouts through which you can operate your buckles. The cuffs are reinforced and have silicon patches to keep them in place. The flatlock seams and female ergonomics keep things friction free while the Energy Knit fabric breathes. The Millet Touring Intense Pant is designed to eat up elevation gain. Abrasion-resistant Revolutionnal® Energy Knit fabric handles daily training. 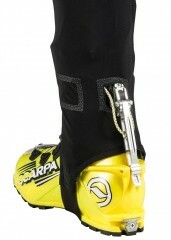 Cuffs with integrated gaiter system mean no fussing during transition. Anti-friction flatlock seams and a lady’s cut keep you free flowing. Handy waist pocket is zippered for a key, id, or other necessities. Hardtex™ scuff guards will stay in place due to internal gripper elastic. Comfortable flat elastic waistband has a draw cord to optimize fit. Bonded patches on the cuff can be cut out for various boot-buckle systems. Bottom Line Little bit of everyting. Hi Aaron, it should be there now, thanks for the report! 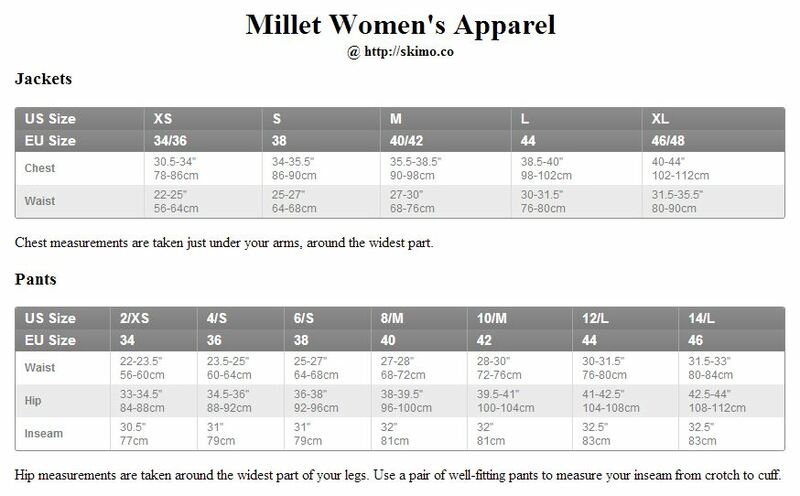 Thanks - just to be clear, size 8 is medium? Hi Aaron, yes, the 8 is classified as a medium. What is 11 + 5?